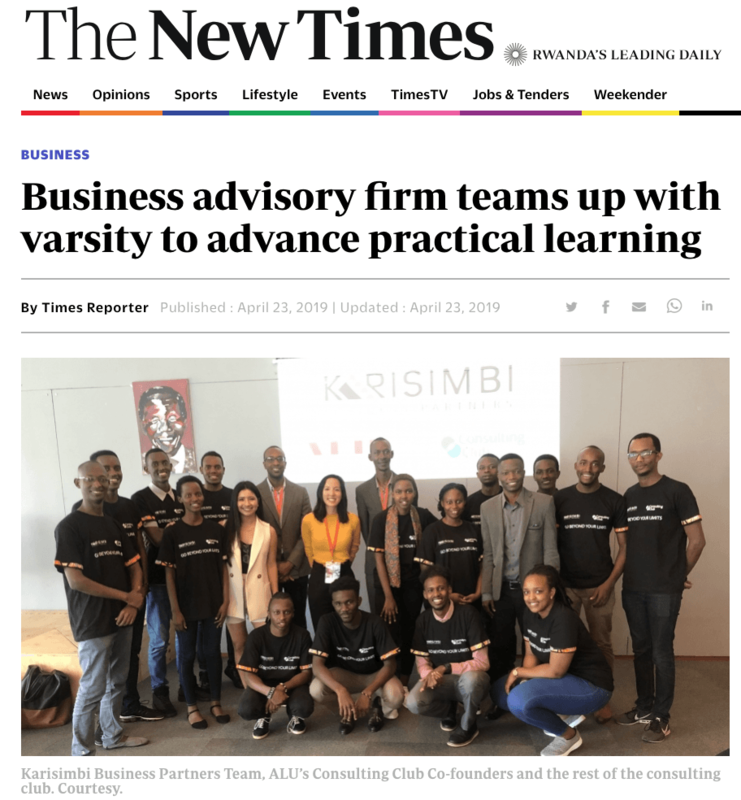 Karisimbi Business Partners has teamed up with the African Leadership University Rwanda’s Consulting Club for the upcoming 2019 academic year. 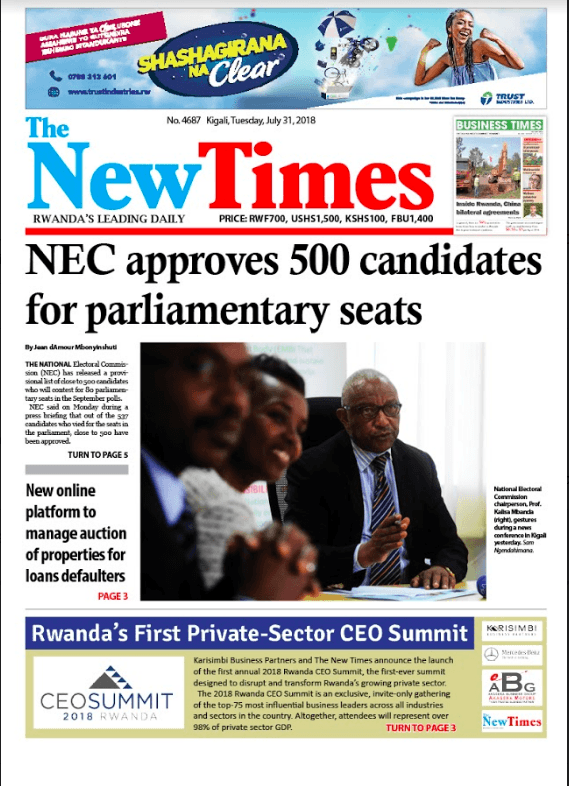 The partnership is aimed at promoting academic integration, by providing student development through applied learning, professional exposure, and the opportunity to learn from Rwanda’s business leaders. 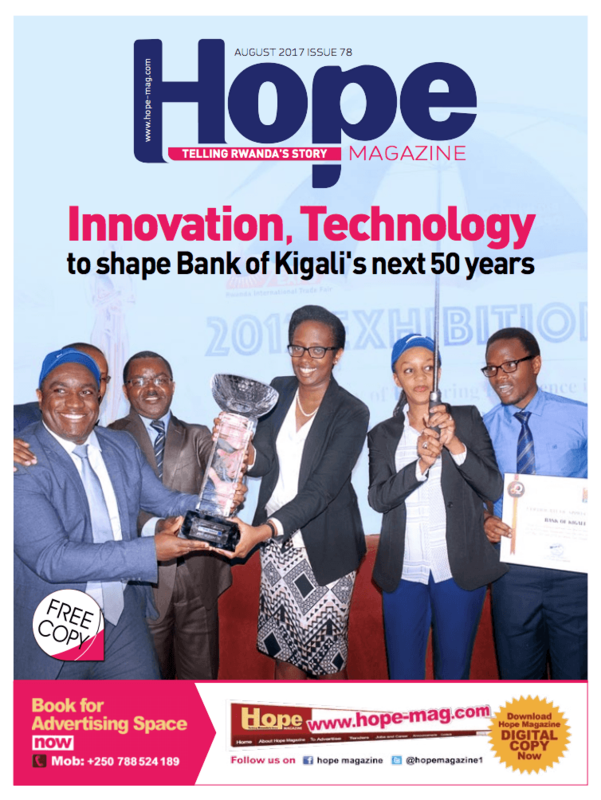 As Fast Company’s 2019 Most Innovative Company in Africa, African Leadership University Rwanda’s new-age educational model has been commended for focusing on a student-centric curriculum through providing 21st century skill sets – critical thinking, communicating for impact, strategic thinking, data analysis and more. Presented by Karisimbi Business Partners, the first- ever 2018 Rwanda CEO Summit took place at the Kigali Marriott Hotel, designed to disrupt and transform Rwanda’s growing private sector. 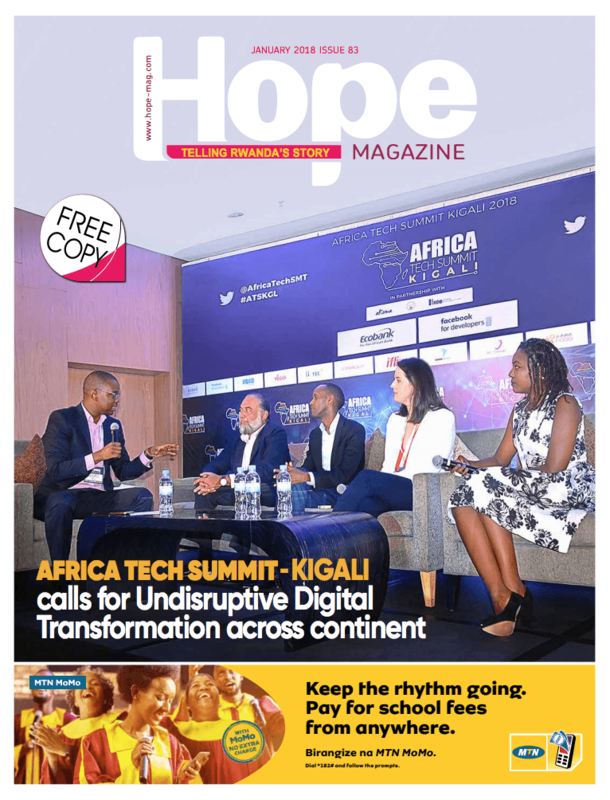 This event serves as a platform for the release of exclusive, cutting-edge research and analysis from Karisimbi Business Partners, panel discussions, and spirited debate from Rwanda’s senior business leaders. The Summit energizes the corporate community, spurs dialogue, and encouraged practical solutions that increase the economic competitiveness of Rwandan firms. Altogether, the attendees represented over 98% of private sector GDP. Karisimbi Business Partners announce the launch of the first private sector summit in Kigali, Rwanda. 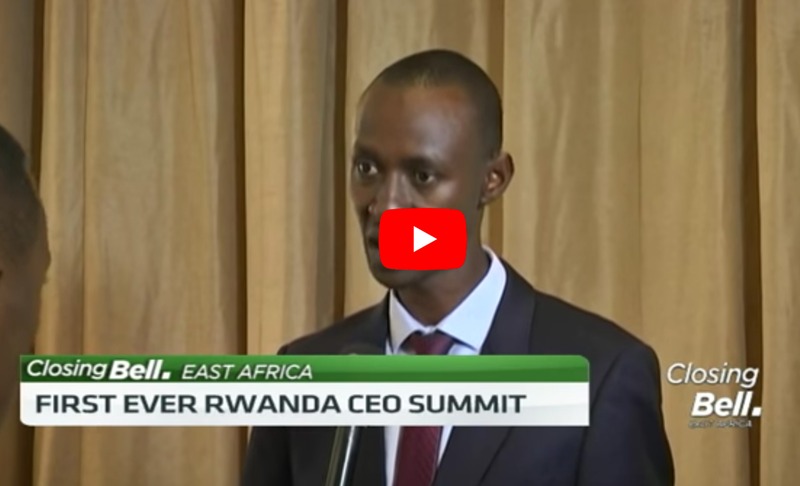 The 2018 Rwanda CEO Summit is designed to disrupt and transform Rwanda’s growing private sector. 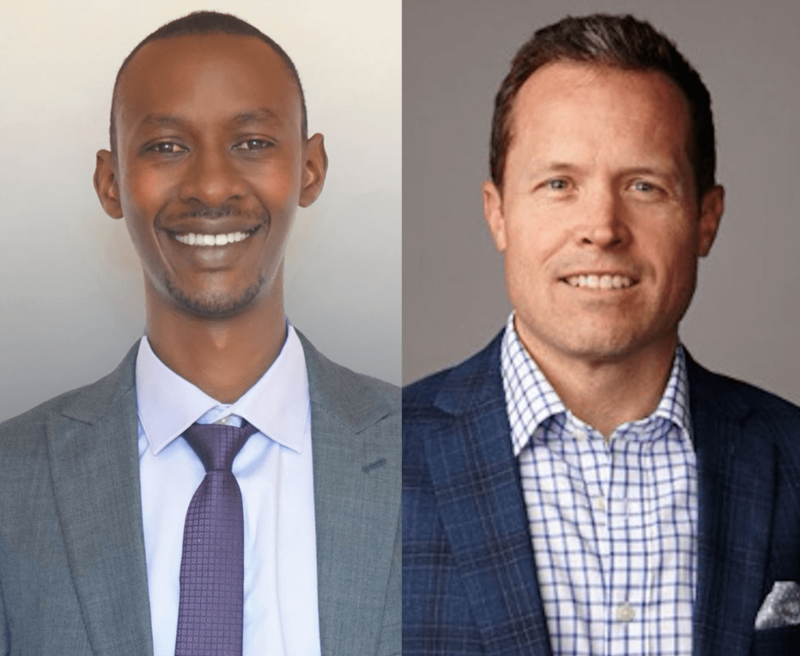 The 2018 Rwanda CEO Summit is an exclusive, invite-only gathering of the top 100 most influential business leaders across all industries and sectors in the country. Altogether, attendees will represent over 98% of the private sector GDP. For years, there’s been this strange distaste for business. People kept thinking business was bad and business owners were greedy and money grubbers. But the truth is, business is and can be a HUGE force for good. Business can change lives, communities, and countries. Business isn’t the enemy… business can change the world. My guests this week are Nick Barigye and Greg Urquhart of Karisimbi Business Partners. 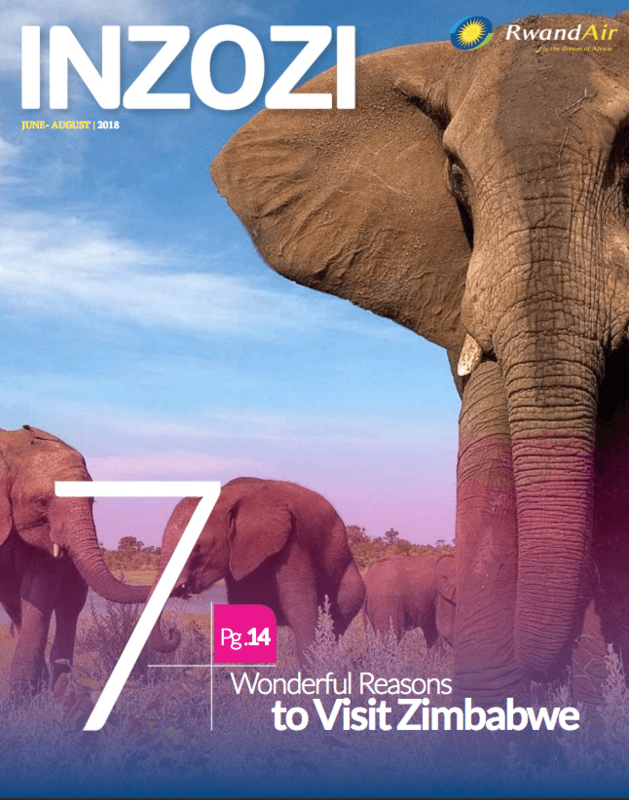 Abahizi Rwanda is the premier luxury handbag factory in East Africa, and is a Rwandan-owned, women-owned, for-profit social enterprise, located outside of Kigali. For years, Now more than ever, we want total transparency from our favorite beauty brands. We want to know exactly what is in our face-saving formulas, and how much of it, from acid potency to potentially acne-aggravating substances. The Body Shop’s latest Community Trade initiative looks to help Rwandan farmers revive a vital crop. Especially in the current political climate, writing about fashion and beauty can, at times, feel in a bit futile. But exploring some of the ways in which fashion and beauty companies are trying to do good in the world. 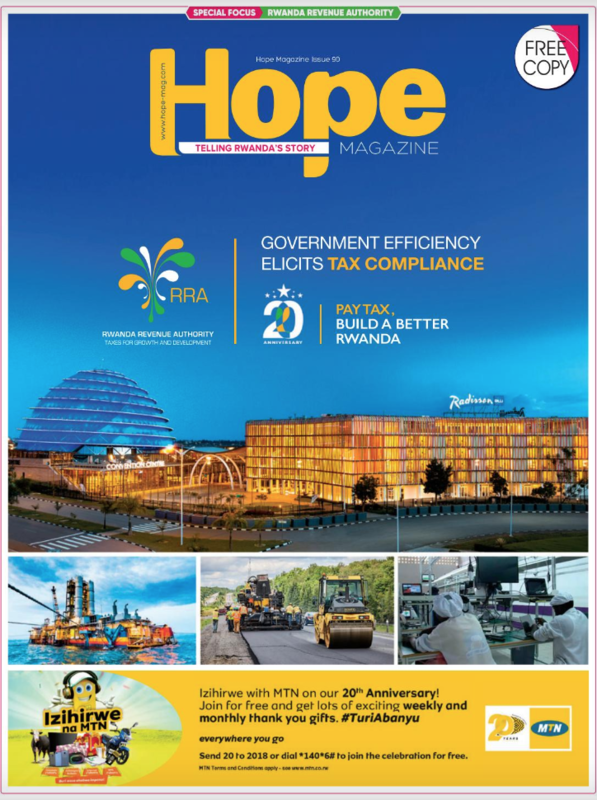 When asked to explain what exactly the Rwanda Development Board (RDB) is doing, the organisation’s CEO, Clare Akamanzi, says that instead of responding with dry economic statistics relating to trade balance and employment, she prefers to give examples. And one of her favorite examples is that of the collaboration between Kate Spade New York and Abahizi Rwanda. 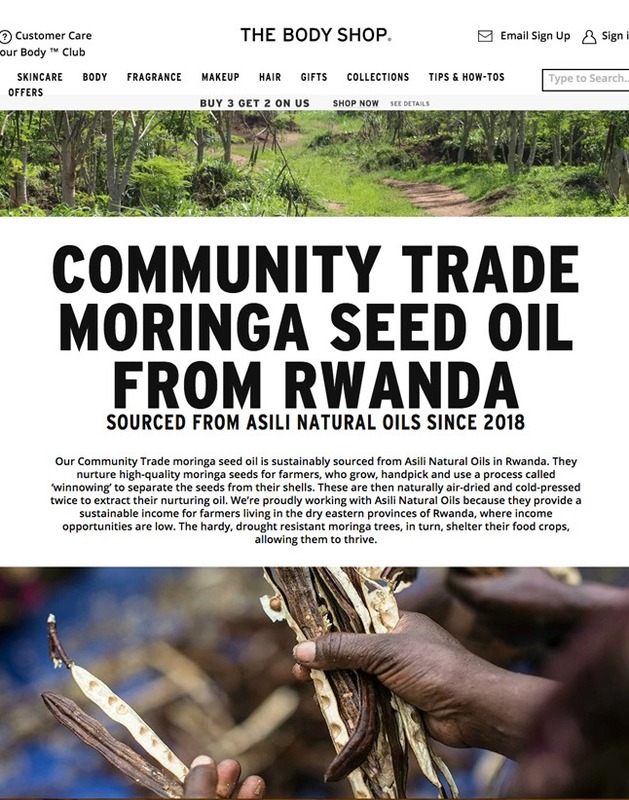 Our Community Trade Moringa seed oil is sustainably sourced from Asili Natural Oils in Rwanda. 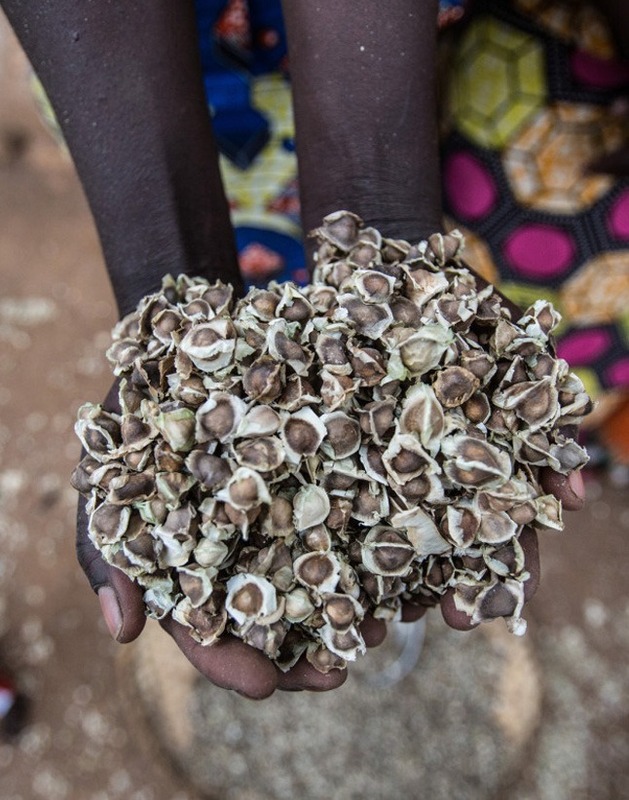 They nurture high-quality moringa seeds from farmers, who grow, handpick and is a process called ‘winnowing’ to separate the seeds from their shells. 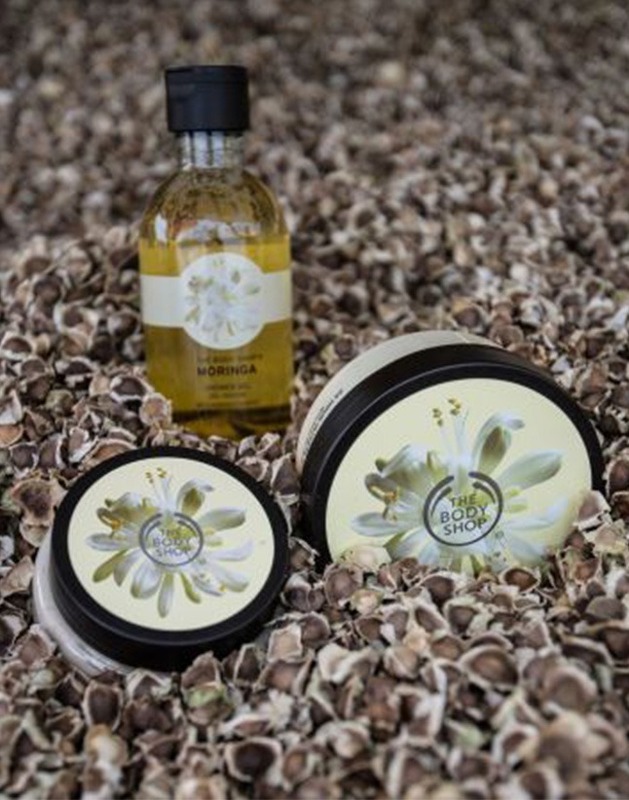 These are then naturally air-dried and cold-pressed twice to extract their nurturing oil. We’re proudly working with Asili Natural Oils because they provide a sustainable income for farmers living in the dry eastern provinces of Rwanda, where income opportunities are low. When it comes to starting a business or improving an existing one, the best advice always comes from fellow entrepreneurs. That is exactly what Karisimbi Business Partners offers, founded nearly 10 years ago by three Americans with a rich past in creating and running businesses.